Carl Henry, "Who are Evangelicals?" 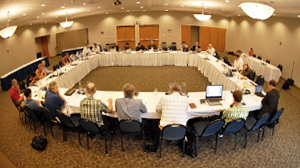 Originally called “The Pastors’ Colloquium,” this ministry began as a group of just under 50 pastors, invited by co-chairs Tim Keller and Don Carson to consider together whether it is possible, in the US, to re-capture the “center” of confessional evangelicalism. The group met for two two-day conferences in 2005 and 2006, ending with the establishment of a subcommittee to (i) plan a conference, (ii) choose a name and begin application for non-profit status, and (iii) prepare a website. 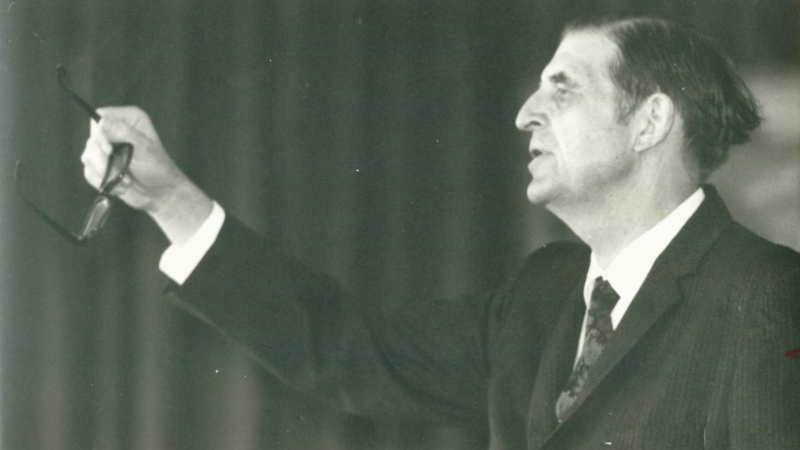 At this seminal moment in the ministry, the Henry Center provided important financial and institutional resources. Although geographically originating at Trinity Evangelical Divinity School and aided by Henry Center resources, TGC has always remained free from any institutional affiliation. The Gospel Coalition finds direction from three founding documents, drafted by Don Carson and Tim Keller. The first Gospel Coalition conference, seeded by the Henry Center, gathered on Trinity’s campus in the summer of 2006.